If you are a beginning camper, you might have heard the term, "banking a fire." So what does banking a fire mean and how is it done? Learning how to properly care for a campfire is important, not only for fire safety but also to keep the campgrounds clean and nice for all campers that follow you. Banking a fire is a common sense camping tip and is an easily learned skill. Banking a fire is something every camper should learn. It is a simple and effective way to keep your fire safely burning overnight so that you don't need to re-start it every morning. To bank a fire means to build a wall out of rocks or stones around the fire pit or to build the fire next to a rock or dirt wall such that it blocks the wind. If the coals from the fire are protected well enough, there will usually be enough heat in them to easily start a fresh fire in the morning. Ever notice that many campgrounds have fire rings at the campsites? These rings serve several purposes: they contain the ashes, they provide a cooking surface, and they block the wind. Fire rings are designed to essentially bank the fire for you. If there is no fire pit at your campsite, you should build your own fire pit to safely contain your fire. It will keep the ashes from blowing around, and will also make the fire burn hotter, providing warmth to the campers sitting around the ring. 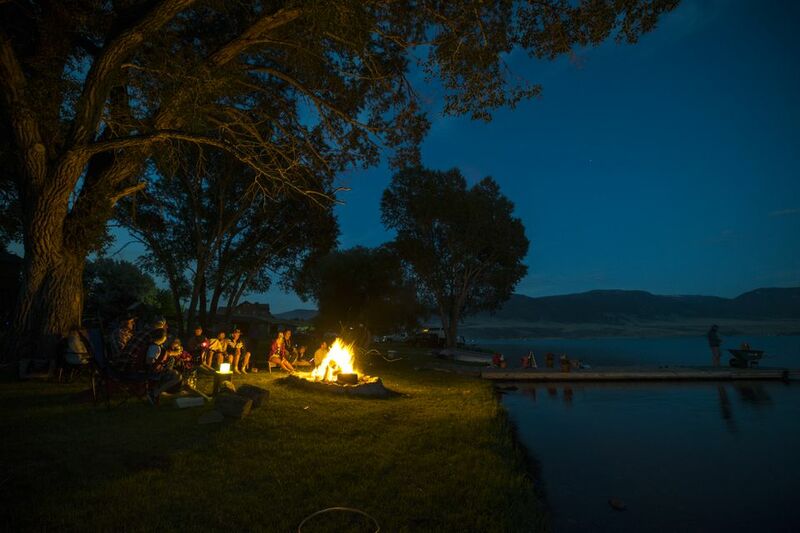 Campfire etiquette and safety is essential for any campers that want to have a campfire. Starting a campfire is easy if you take the right steps. Before starting a campfire at a developed campsite, in a national or state park, or in a U.S. Forest Service dispersed camping area, be sure to check the fire regulations and restrictions for the area. These rules and regulations can change seasonally, so be sure to find a current posting on fire restrictions. If it is permitted in the location where you are camping, gather wood for your campfire. Look for dry limbs, twigs, and leaves that are on the ground; never break branches off of living trees. Some regions do not allow firewood gathering, so you'll need to bring your own wood or purchase firewood from the campiest or a local store. If your campsite has a fire ring, use the existing fire pit. Do not move it or create a new one. If there is no pit and you are permitted to build a fire, use your newly-acquired skills on how to build a fire pit and bank the fire. Once your fire pit is ready, you're ready to get your fire started. Place the dry leaves and twigs you have gathered in the center of the ring, leaving plenty of space for air to circulate, and shape the pile of twigs and sticks in a cone-like or teepee shape. Around the small leaves and sticks build a larger teepee of branches and logs. Light the dry leaves from the bottom with a long lighter or matches. As the fire builds, continue to add larger logs to the outside of the teepee, carefully placing them so the teepee does not collapse. Always keep the campfire small and manageable. Never leave your campfire unattended and make sure to drown the fire completely out when you are ready to leave camp.